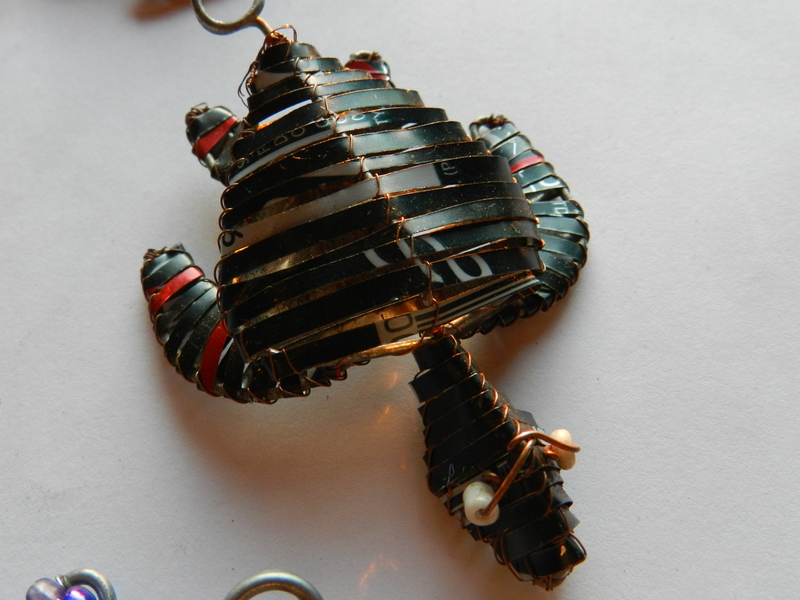 These key rings are made by local Mozambican artists that were once full-time fishers who heavily relied on the catching fish, rays, sharks and turtles. But now they have the opportunity to transfer some of their fishing skills to train to become local artisans. 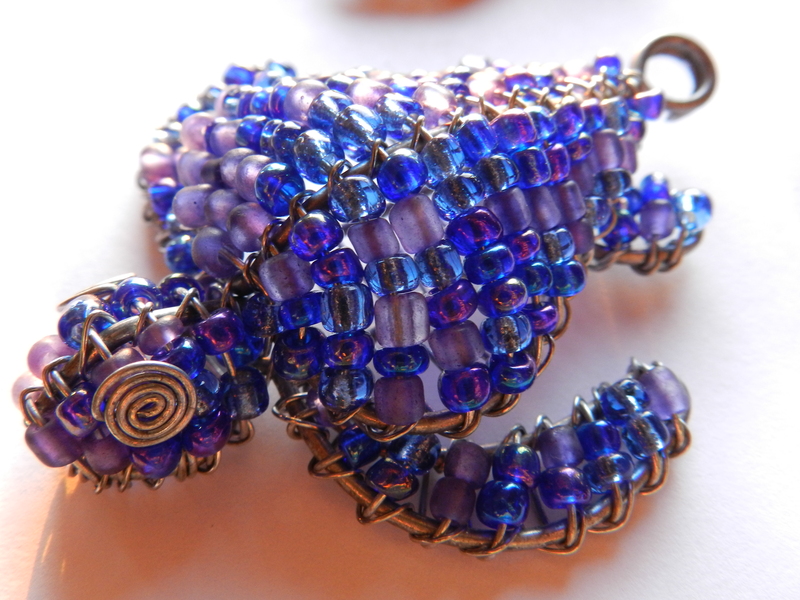 The techniques normally used for tying fishing lines, making and repairing nets are now being used to create these beautiful key rings out of glass beads and recycled soft drink cans. By working with the fantastic team at Machilla Magic who have spend a number of years working with locals to find ways to convert their current skills, develop some new skills to produce arts, crafts and trinkets and a gallery space to showcase these products, fishers are presented with alternative livelihood options. Local boy packs the body parts of a mobula/devil ray into his bucket to carry home. On this day Pescadors captured a small school of the devil rays, cow-nosed rays and reef sharks using gill-nets which were set off a shallow reefs overnight. The ray was cut up and all parts are taken home and used. Due to a 16 year long civil war accompanied by a large population influx to the coastal regions (more than 60% of Mozambique’s population live in coastal areas) the pressures to the marine environment have drastically increased. In a desperate attempt to catch as many fish as possible to support their families, pescadors (fishermen) have resorted to adopting hugely devastating and unsustainable fishing practices such as gill netting, long-lining and targeted turtle/shark/manta harvesting which is becoming increasingly widespread along the coast. Many people rely on fishing to provide them with the livelihood to support their families however the increased pressures placed upon the marine environment is making it harder and harder to sustain a family from the oceans resources. Subsequently, we start to see more people tempted to adopt illegal behaviors like hunting for larger marine animals, such as sea turtles which are protected under Mozambican law and internationally recognized as threatened to extinction. 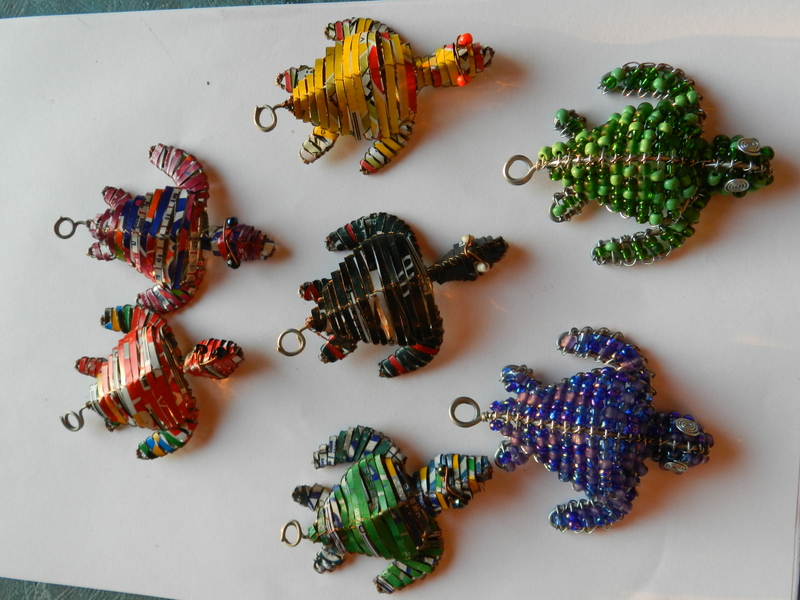 We are proud to have partnered up with these Mozambican artists and Machilla Magic to develop these unique turtle themed key rings. 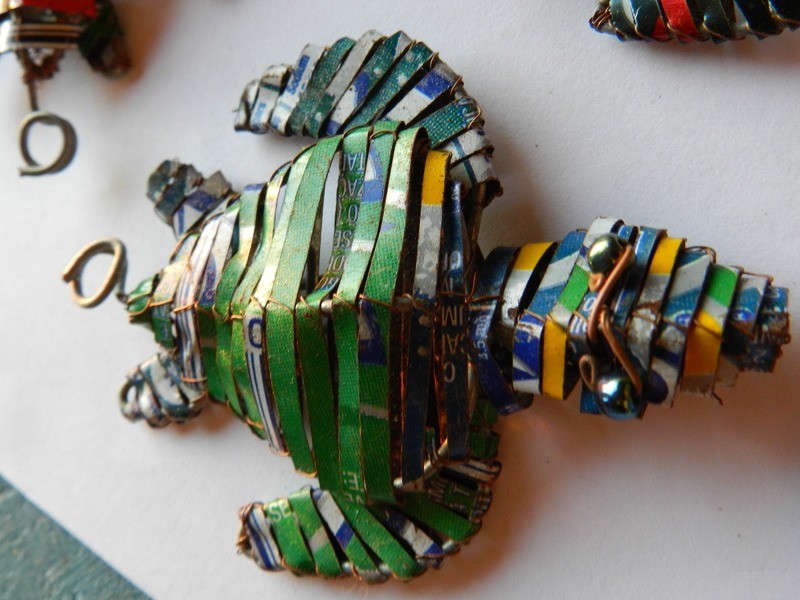 What’s great is that the tin can key rings are made from recycled soft drink cans, which here in Mozambique are not made of aluminium like in other parts of the world and are not recycled. 1) Reusing/ “Up-cycling” a product which would otherwise be discarded as rubbish. 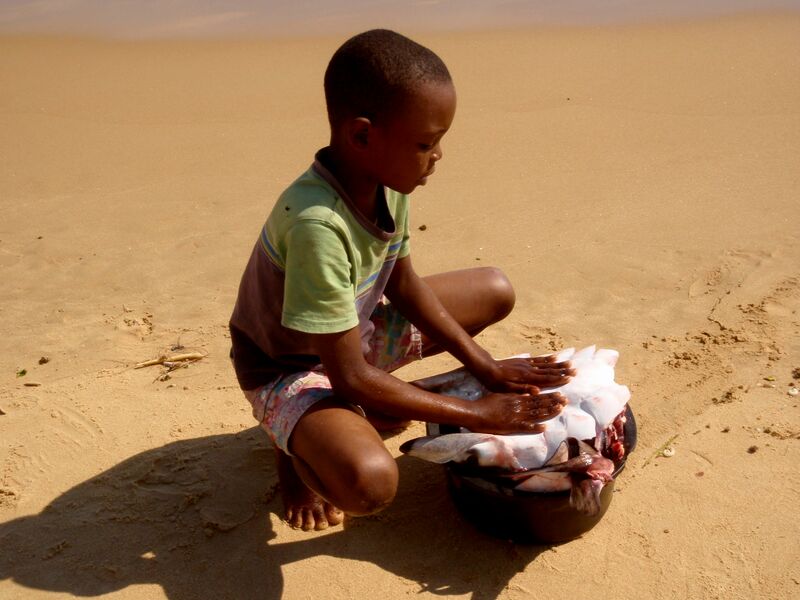 2) Supporting local Mozambican artists who would otherwise be heavily reliant on the marine environment to survive. 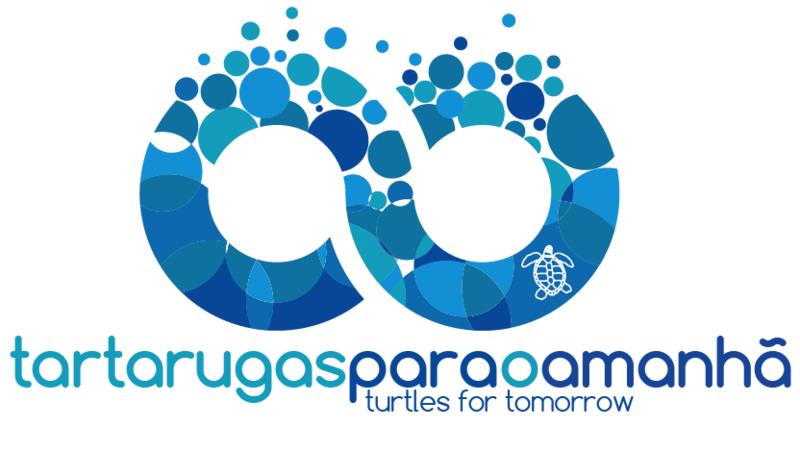 3) Helping support our research and conservation efforts of sea turtles in Mozambique. 5) Reducing the amount of rubbish that ends up in the ocean and thus reducing the chance of sea turtles becoming sick or dying from accidentally ingesting debris! 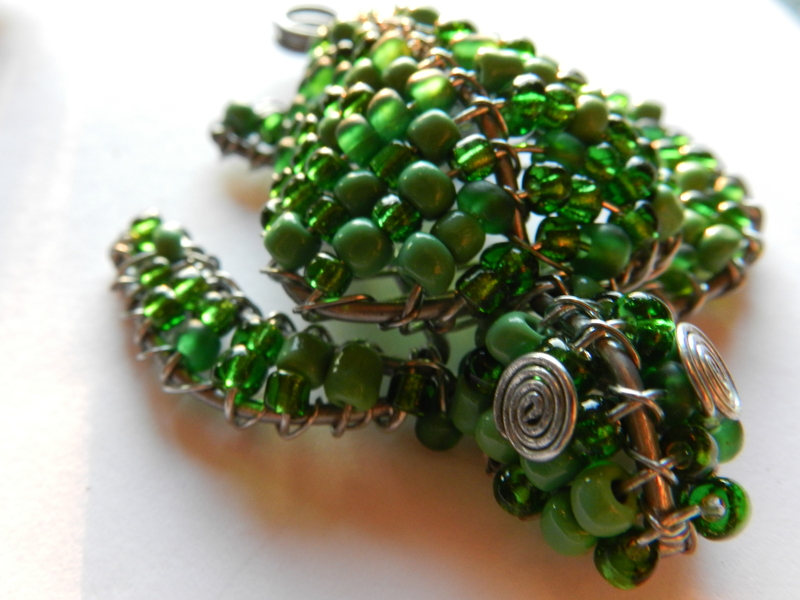 cute tin and beaded turtles!